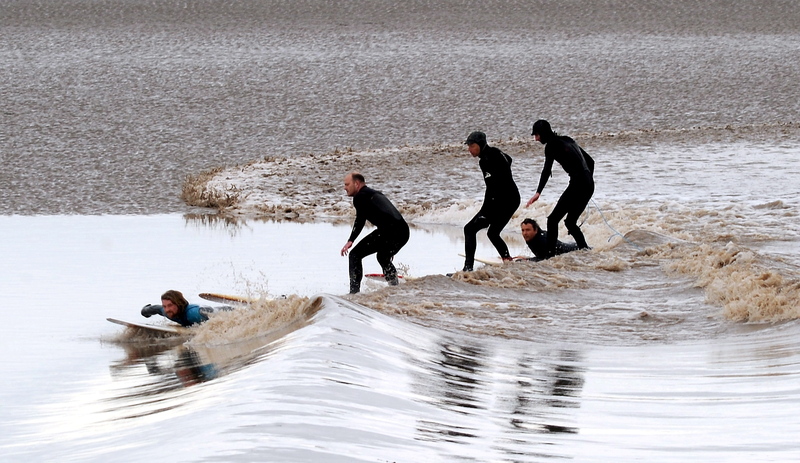 Surfers on the Severn Bore at Newnham-On-Severn. A local event which I have covered many times. You just pray for a good wave and surfers.